2018 Recap with The Walk By Faith Team! Thank you to our podcast listeners and our supporters! We want to thank you for a phenomenal year. We went from 0 listeners to 139 listening every episode. We have a total of 5,729 total plays for the year. We applied for the Google Podcast Creator Program and we find out this week if we got it. So please please please keep us in all of your prayers. We can’t thank you enough for your support. If you are serious about Podcasting make sure you get on the waiting list for this program. Click here for more information. Applications open up Spring 2019. Started an LLC: Faith Tech Grow — Faith Tech Grow’s mission is to provide a holistic perspective to increase and improve businesses using technology as the cornerstone. Your support will help support that mission. 4. Sold merchandise: We still have Walk By Faith Tees Available — Send us an email to info@faithtechgrow.com for more details on how to get yours. 5. 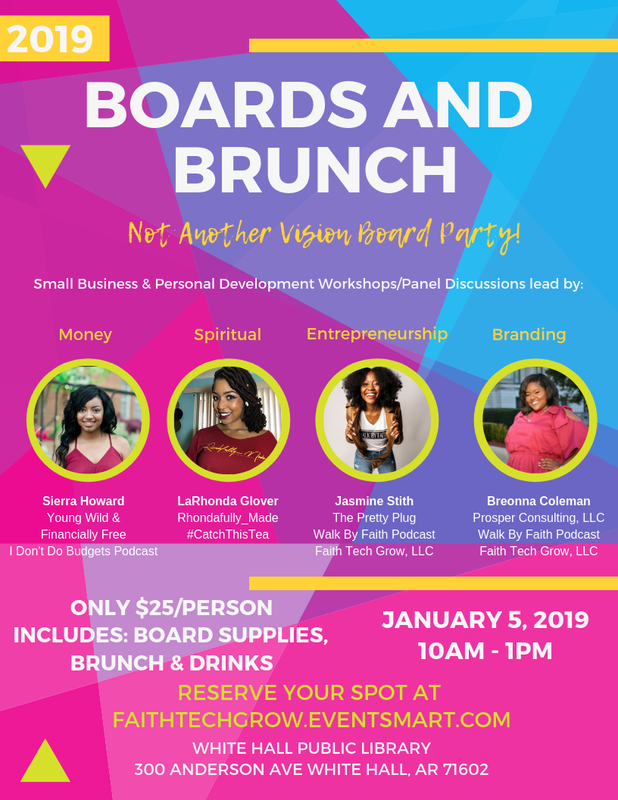 Launched our first event “Boards and Brunch” . 6. And so much more is coming in 2019. This year was my year of stretching. I pushed myself to new limits that I didn’t know I could reach. I failed at a lot of things, but I got back up each and every time. This year was also the year of trimming. You can’t grow or expand if there are things holding you back from reaching your true calling and purpose. There is not anything that God can’t pull me through because my faith is in him! I am going to go even harder next year. 2019 is the year of “INCREASE”! I am blessed to have a team, city, future states, and people behind me that believe in what Walking By Faith can do! The Walk By Faith Movement started in 2015 and it is still going strong. Happy 4 years to us and next year will be year 5! We have a ton of exciting news to share with you monthly. 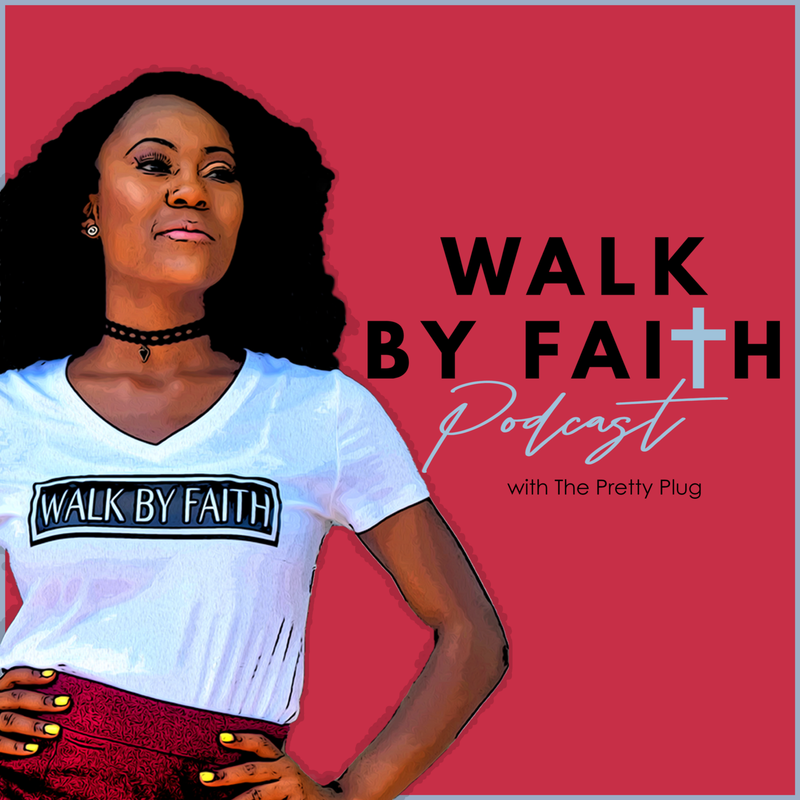 We encourage you to check out “The Walk By Faith Podcast”! Every Wednesday a new episode launches. We have tons of entrepreneurs that you can buy from, learn from, and support financially. We have over 40episodes and the plan is to continue producing content until God blesses us with a TV show or an online platform to host guests live. Please be sure to join our mailing list to receive a monthly email that includes the recap of the month, access to career/entrepreneurial opportunities, and also business tips that every entrepreneur needs from a biblical and tactical perspective. This is the best way to keep in touch throughout the 2019 year! You’ll basically be joining the WBF Family. Did you know you can support the podcast financially? Each contribution helps us to reach more people and to produce more content at a higher quality and frequency. You can contribute monthly with: $0.99, $4.99, or $9.99 contributions each month. If you would like to make a one-time donation, please respond back to this email and we’ll be happy to give you the details.